"Soulmates" Elle and Roxanne. Hookipa pillbox. Photo taken 6/7/12. 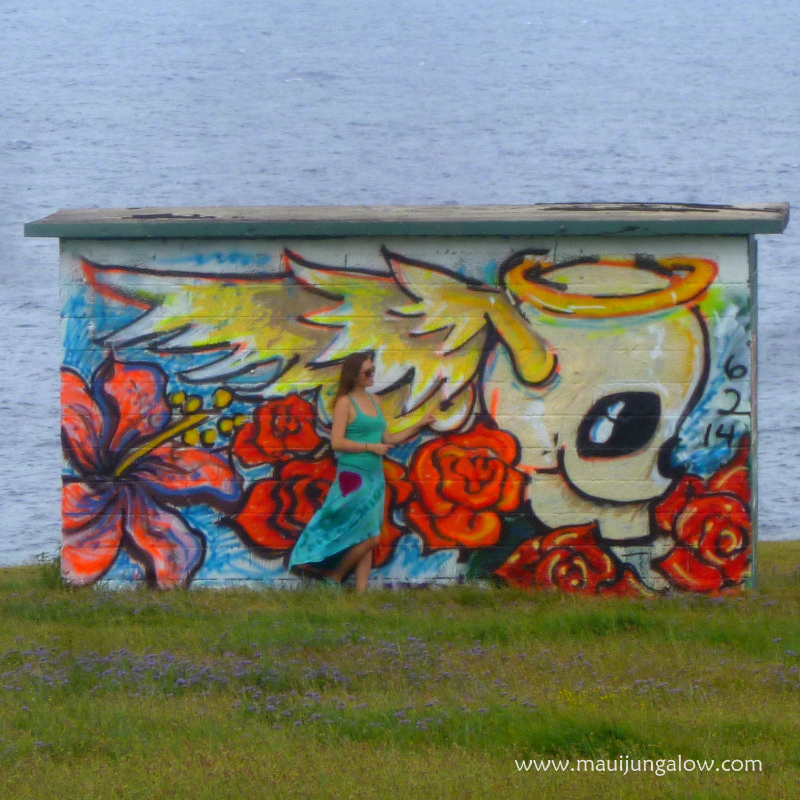 Summer 2014 at the Hookipa Pillbox. Photo taken 5/30/14. There were some other murals painted in honor of Summer Taylor's 15th birthday later that summer. Is this mural for her too? Skull and wolf party on a temporary wall on Baldwin Avenue on Paia. I think this has been painted over. Photo taken 12/15/15. Angelic skull with wings and a halo. Photo taken 6/1/15 at the Hookipa Pillbox. My bad. I made a rule to only do 3 photos per post, but have broken it twice already! I'm not a lover of skull art, but these skulls were exceptionally artistic and vibrant, reminiscent of Mexican Day of the Dead festivities.